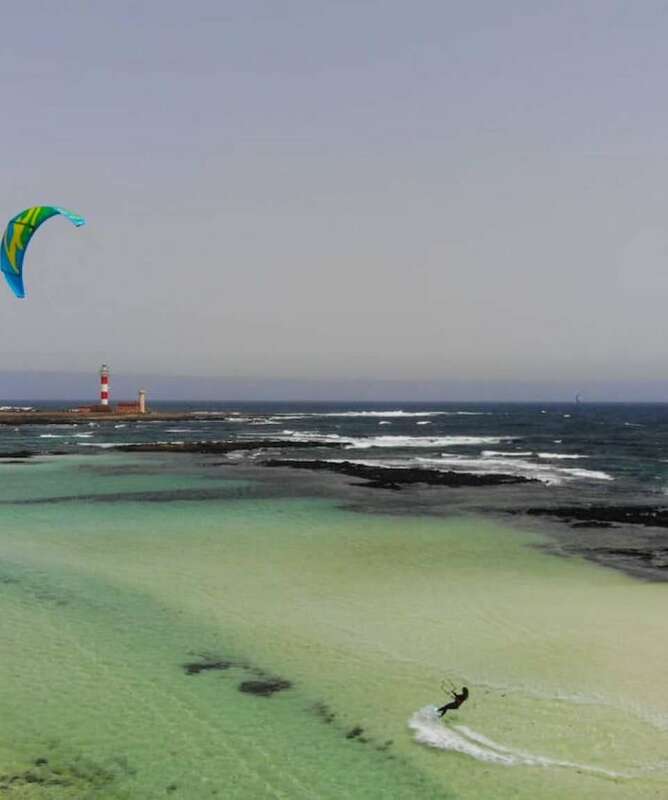 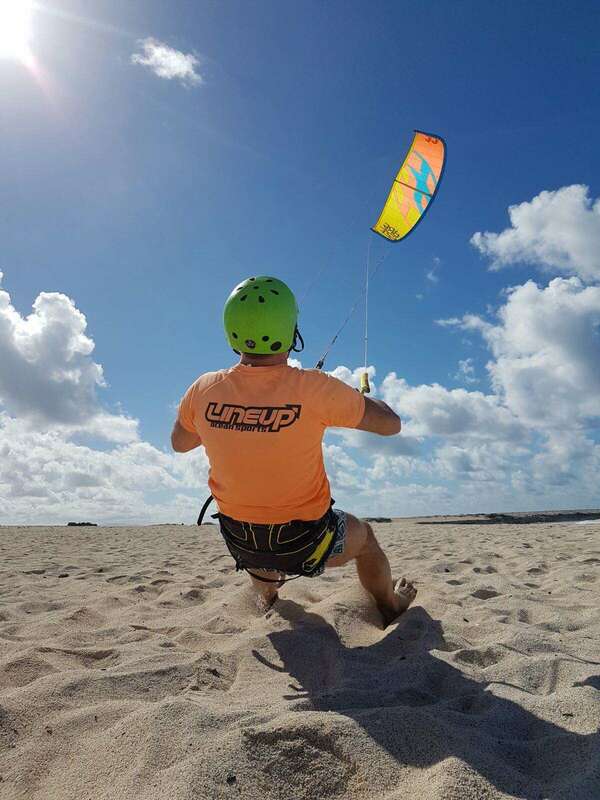 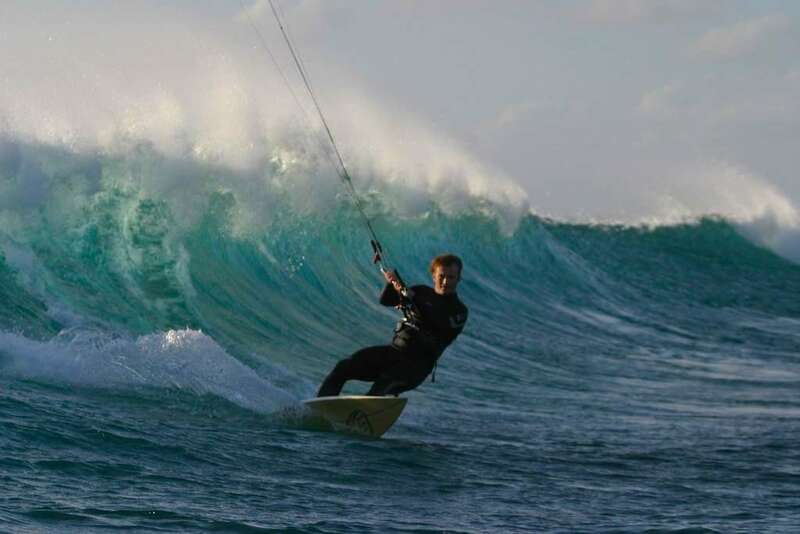 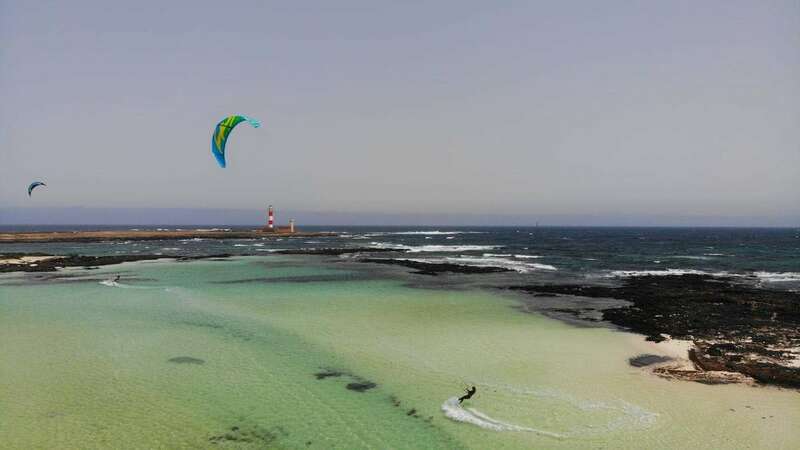 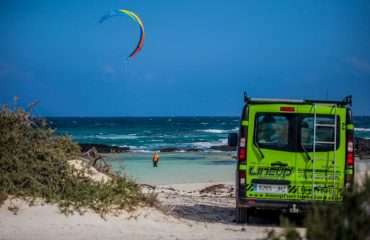 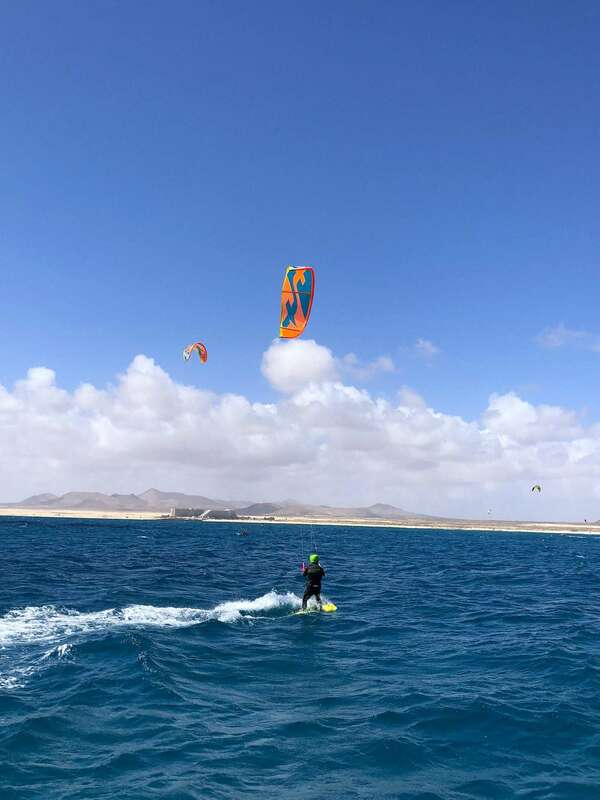 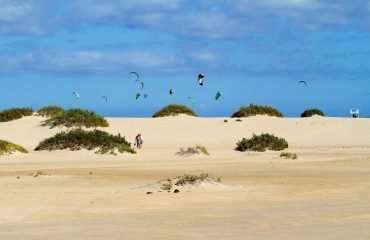 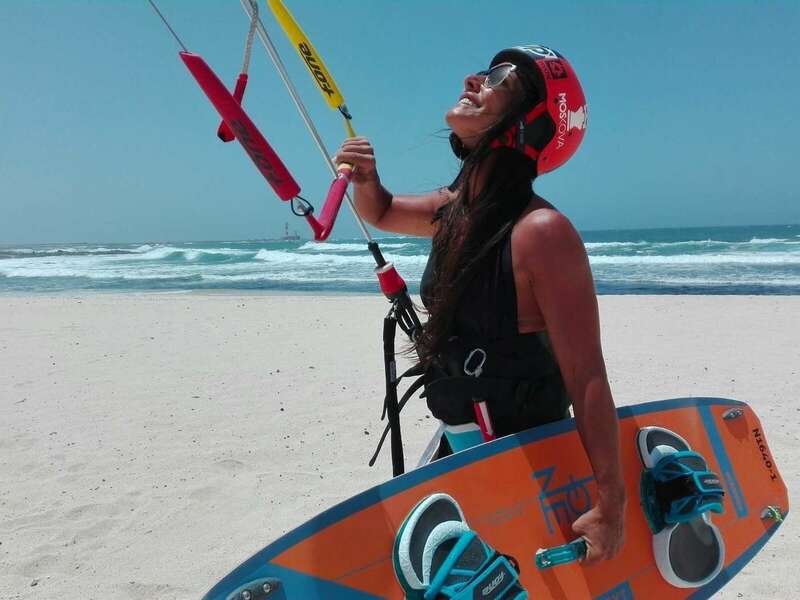 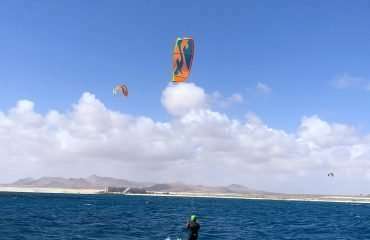 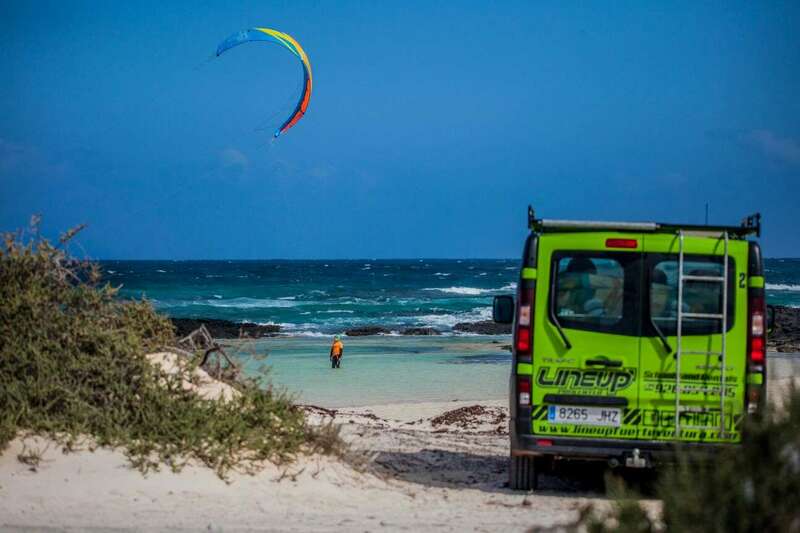 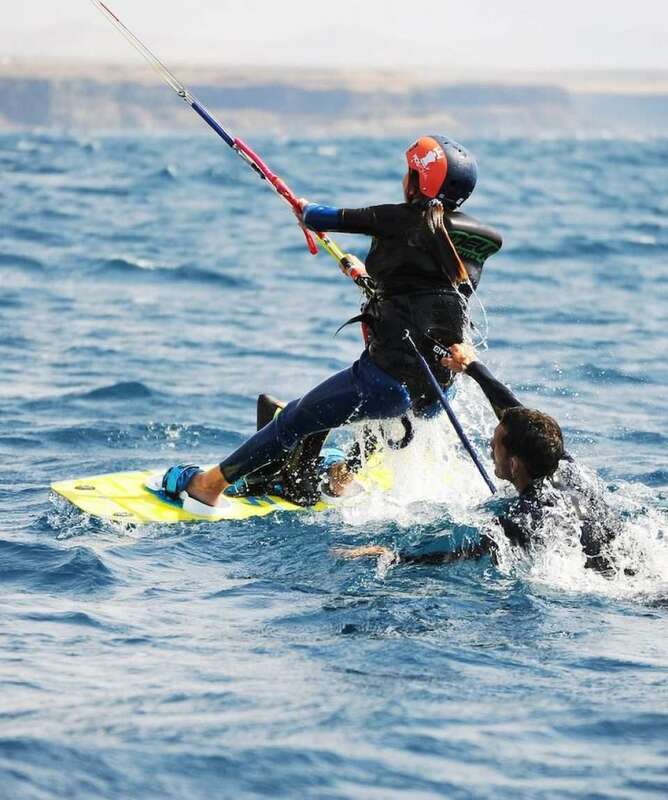 Achieve something special during your next vacation by learning to kitesurf with professional local guides at Corralejo, Fuerteventura one of the greatest locations in the world to learn kite surfing. 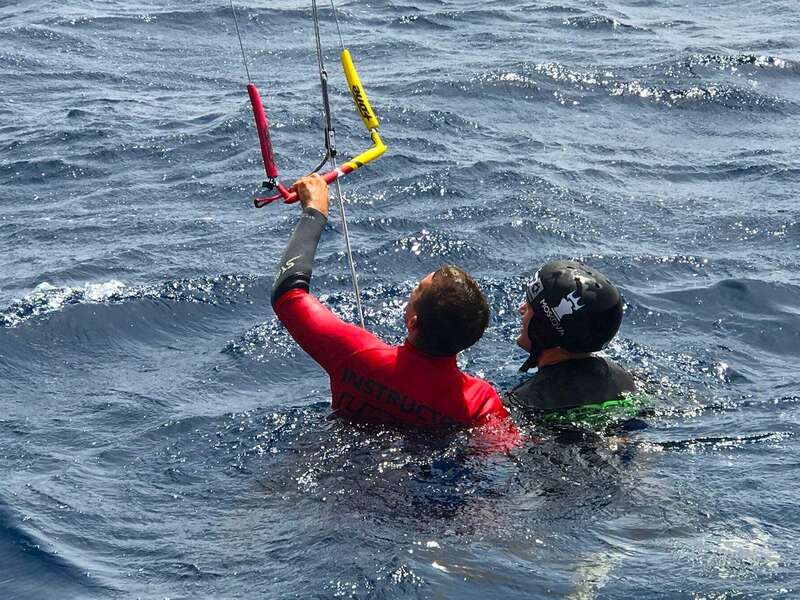 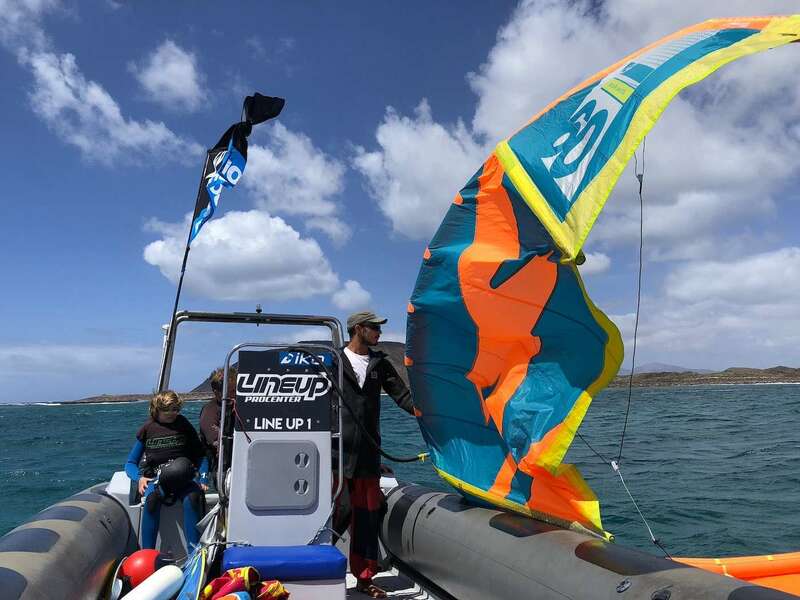 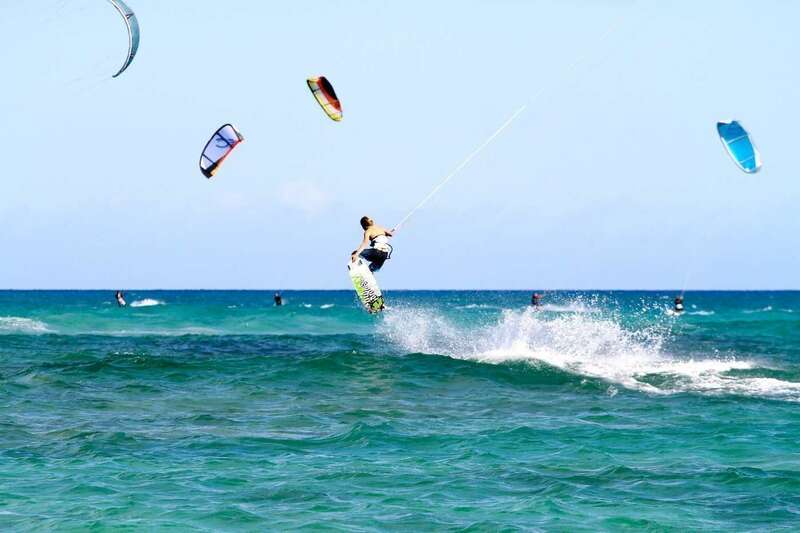 Pristine, crystal clear waters, warm weather and perfect conditions for kite surfing make this your best opportunity to learn this great sport. 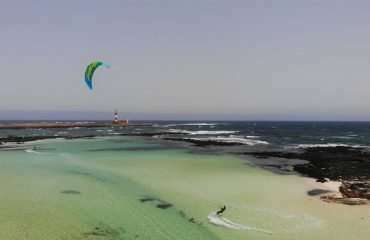 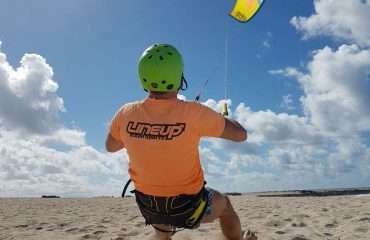 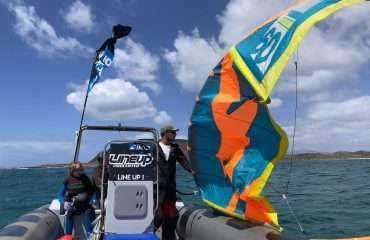 All about the Kite Surf Camp Fuerteventura, 7 Days, Learn to Kite Surf, Spain. 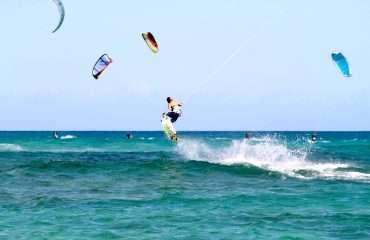 Perfect kite surfing location for both beginners and more experienced kite surfers. 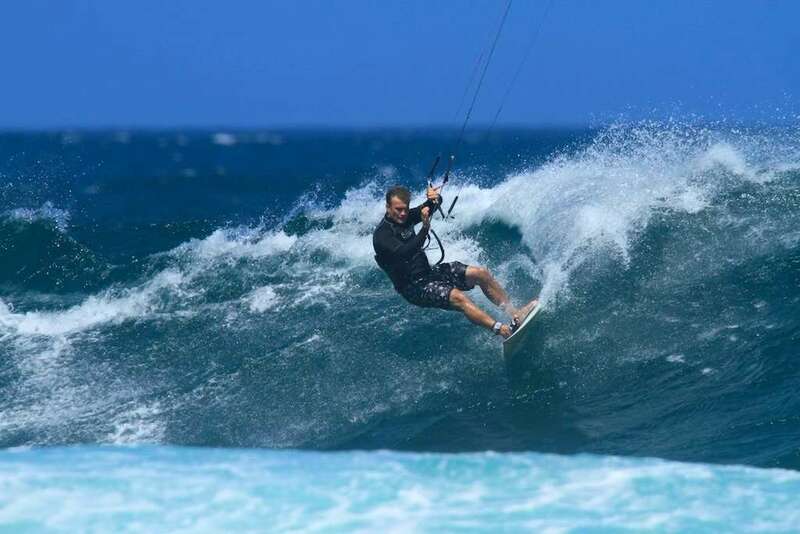 You can learn what you need to start your new passion, kite surfing, within this week. 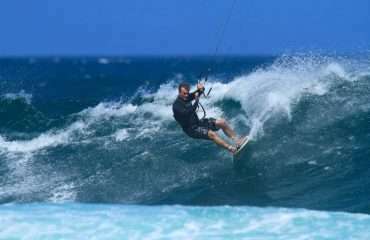 Experienced and trusted tour operator. 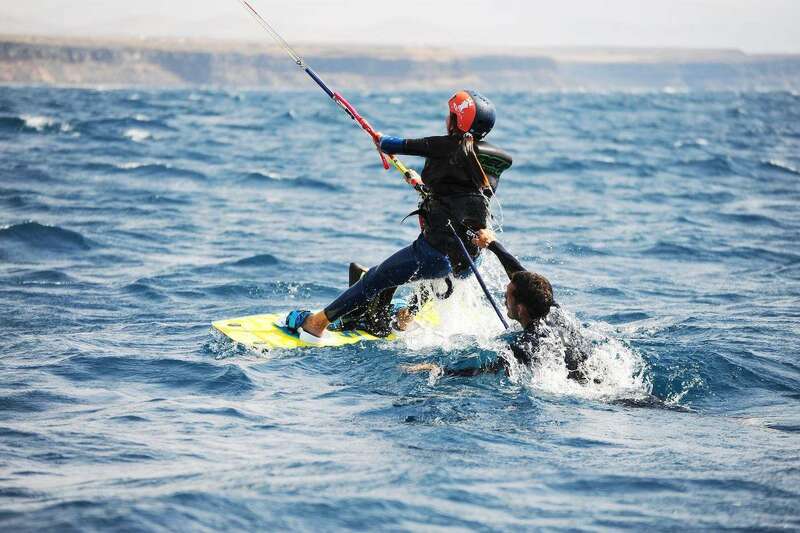 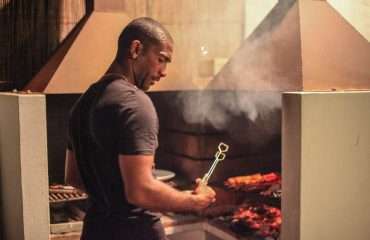 In fact the founder, Manu Taub was a world record holder. 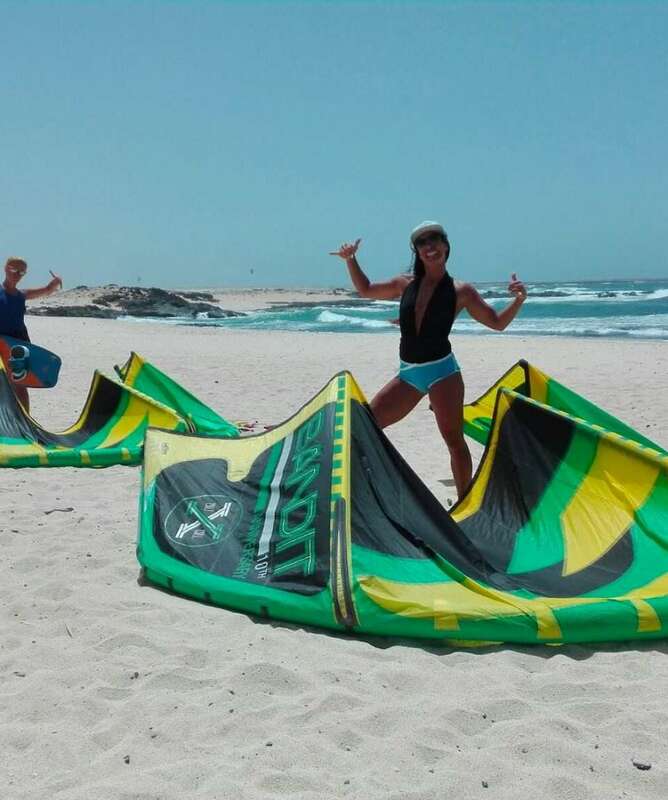 If you have any interest in learning to kitesurf, this is a perfect package. 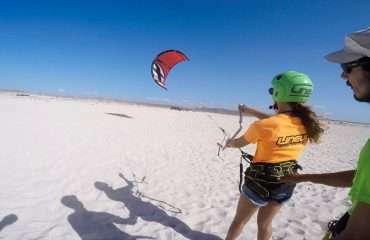 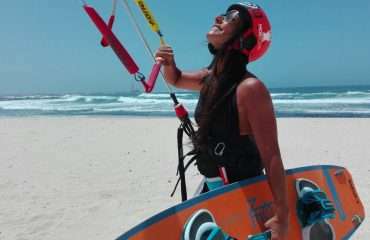 It’s also a great option for anybody that would like to improve their kitesurfing skills. 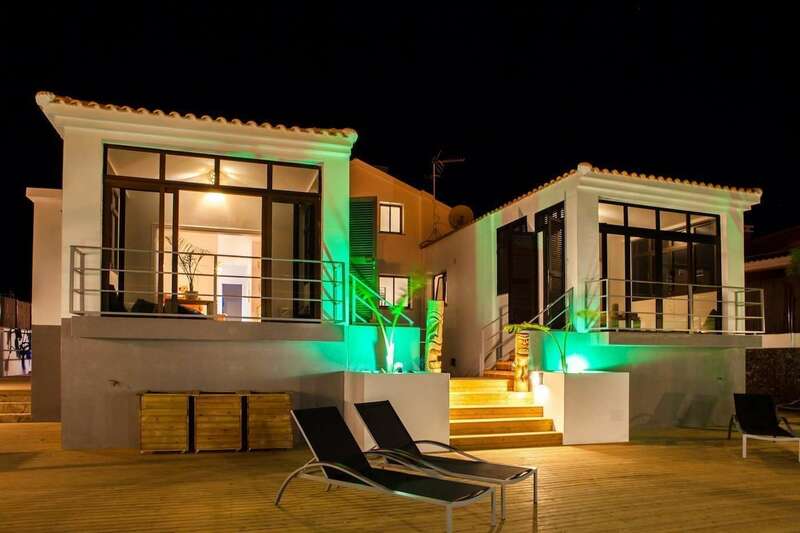 Probably not a great choice if you’re looking for a quiet or luxurious getaway. This one is more suited to those looking to get active. The surf house is suited to solo travelers that are happy to share a room with new friends or couples that can share a double room. 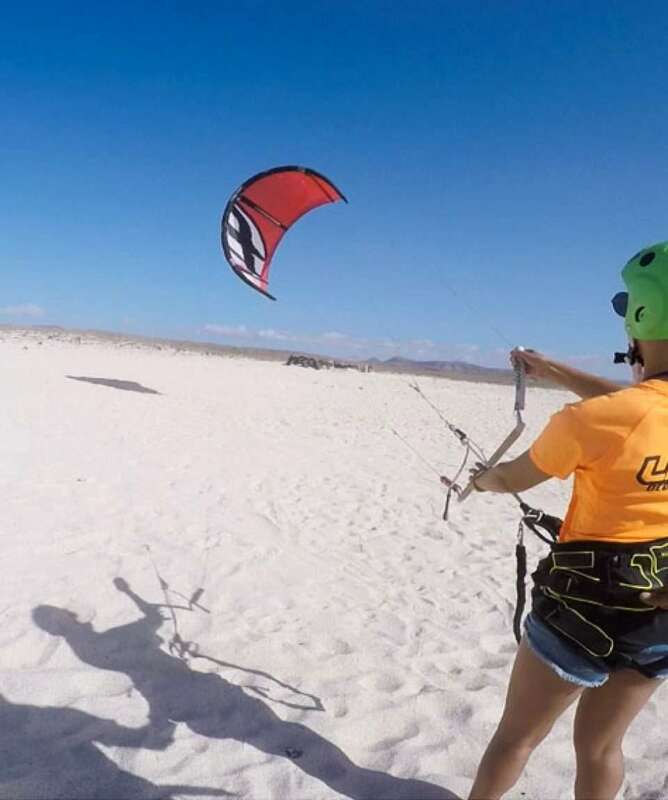 There are no set dates for the start and end of your kite surf camp. 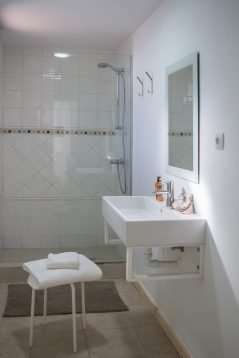 Just select the start date that is best for you and Check Availability. 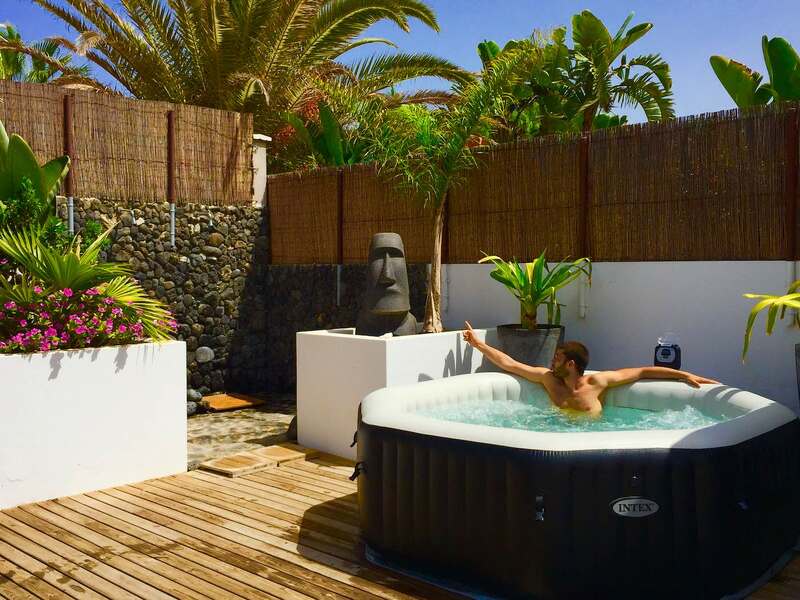 We’ll get straight back to you with your options. 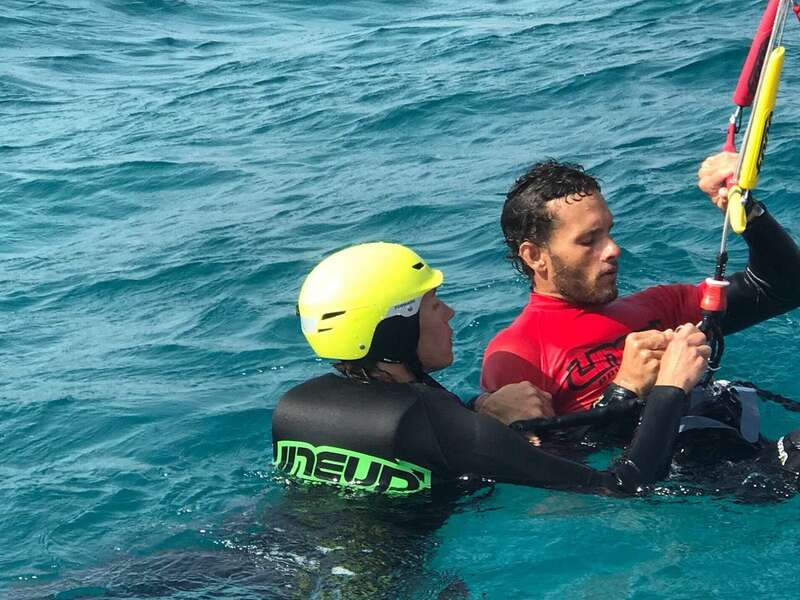 You’ll get a certificate to track your progress that you’ll be able to present to other centers around the world to show your level. 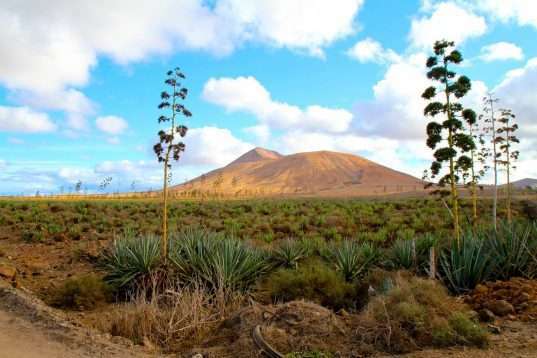 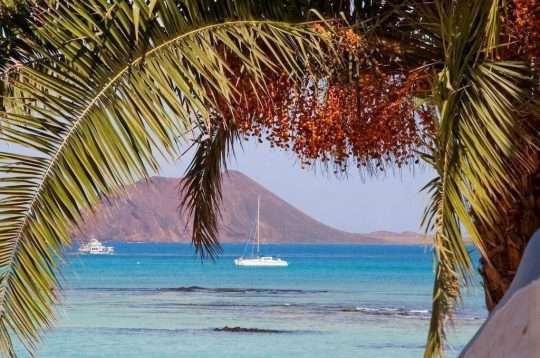 Highlighting the beauty and vibe of Fuerteventura. 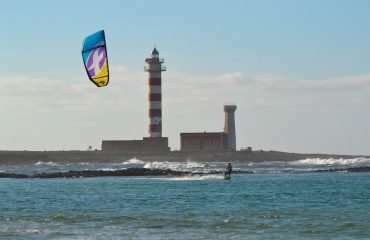 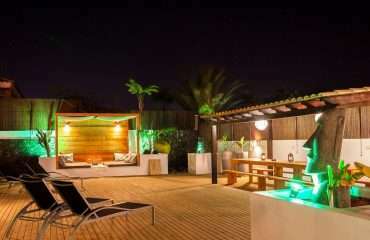 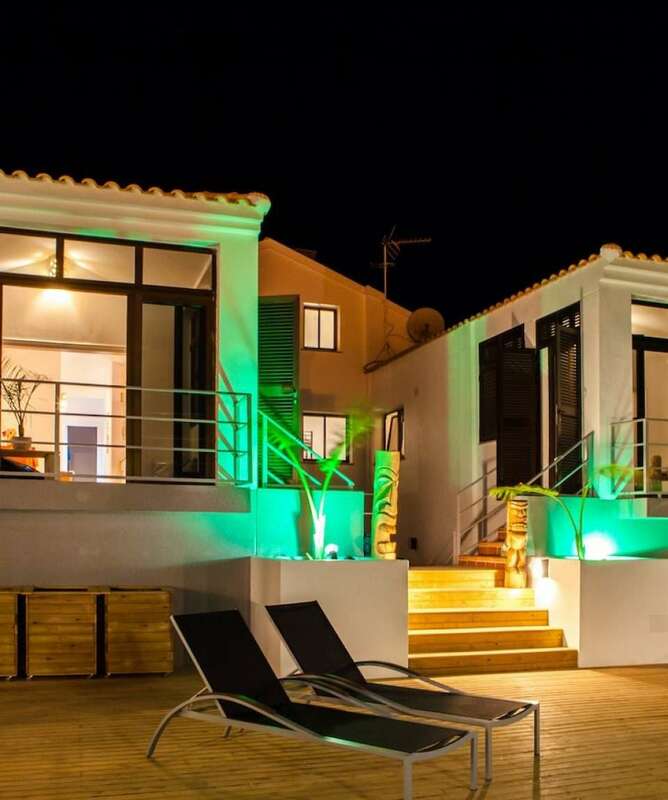 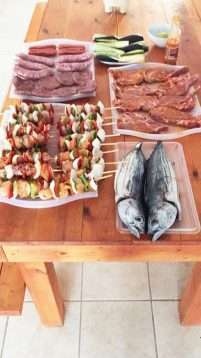 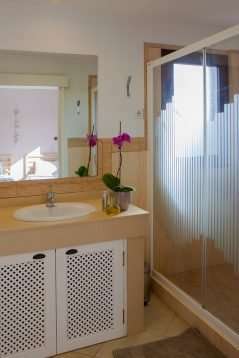 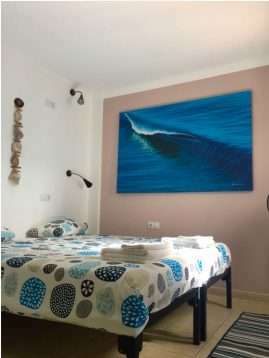 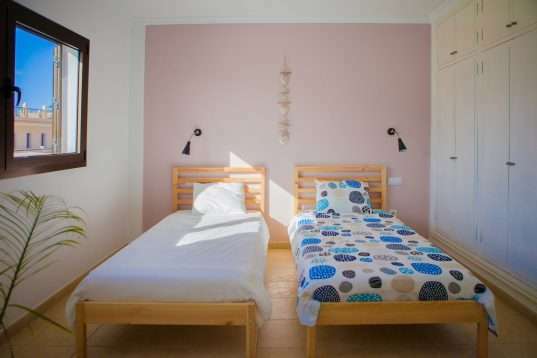 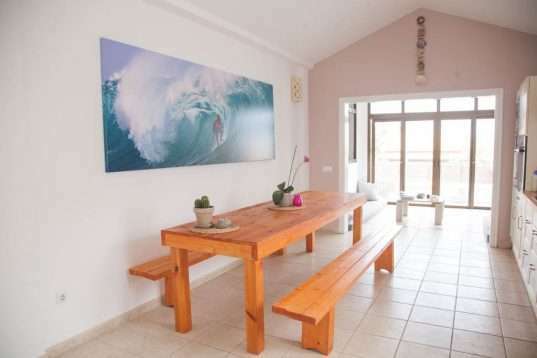 Our surf house and Kitecamp is located in Corralejo. Which is in the very heart of Fuerteventura’s surfing and kitesurfing paradise. 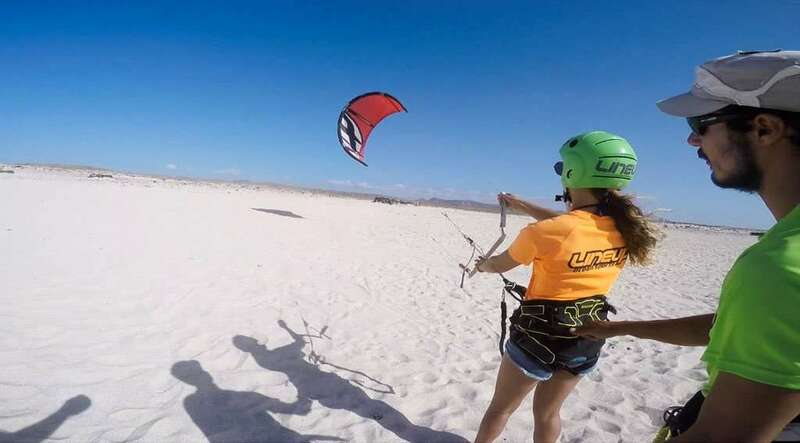 The area is uniquely suited to water sports with kilometers of beautiful sandy beaches and pristine water. 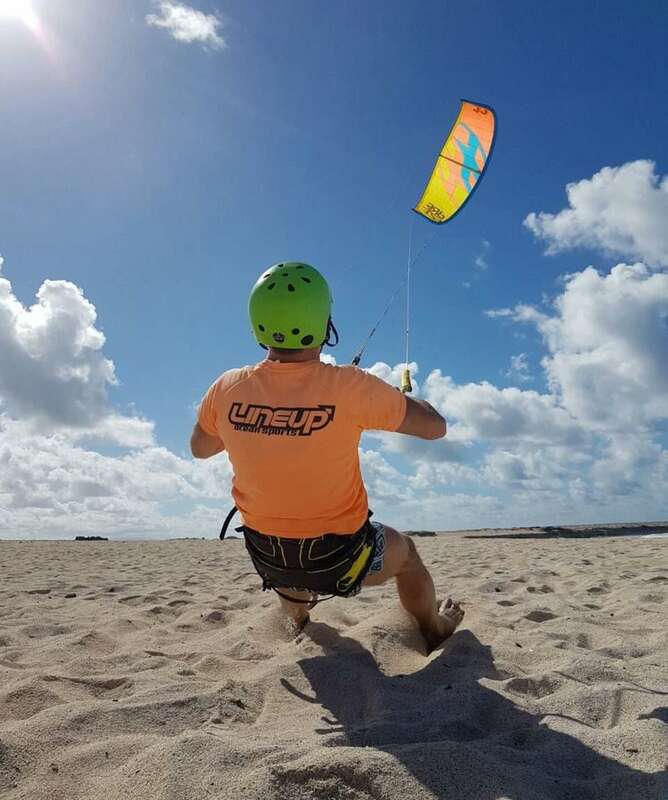 The conditions are also perfect with several spots that can be accessed for the conditions we’re looking for on any day. 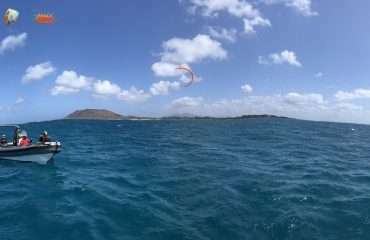 Oh, and great weather all year round. There are many short flight options and it’s a perfect place to relax and enjoy a beach paradise with family or friends. 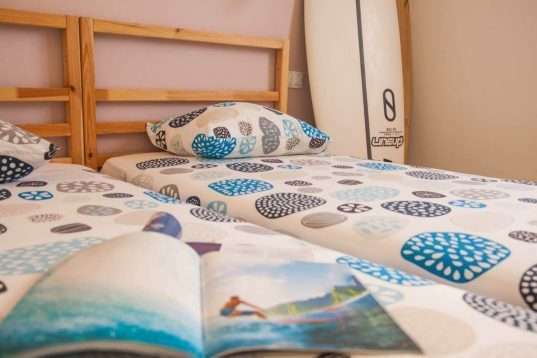 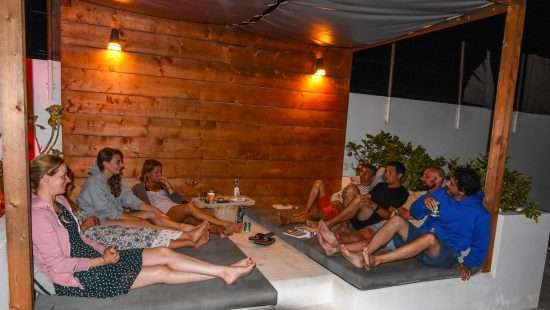 At our Surfcamp in Fuerteventura, located in the famous North Shore, you will enjoy your nights, after surfing, in a wonderful atmosphere. 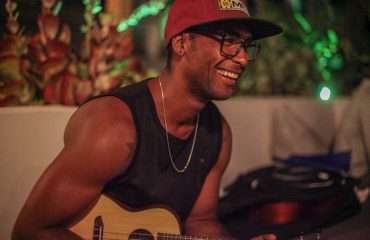 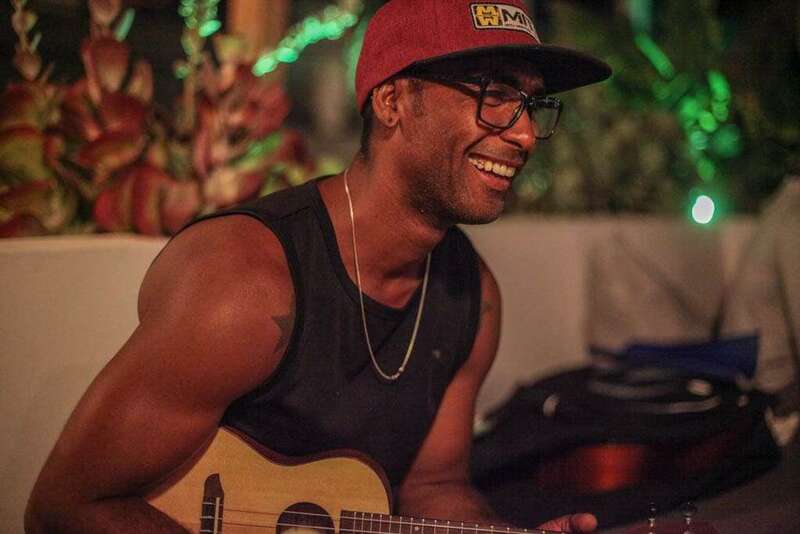 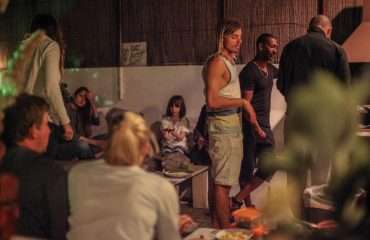 We organize barbecues every week, even some jam sessions with our camp manager, you might get live music as a bonus! 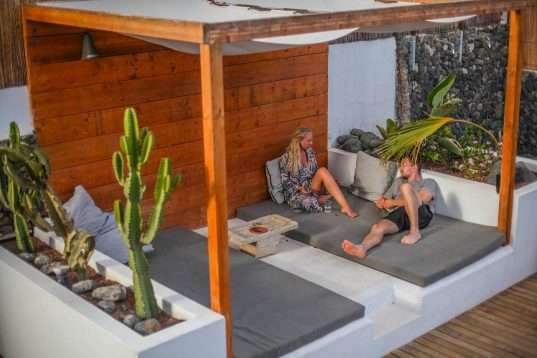 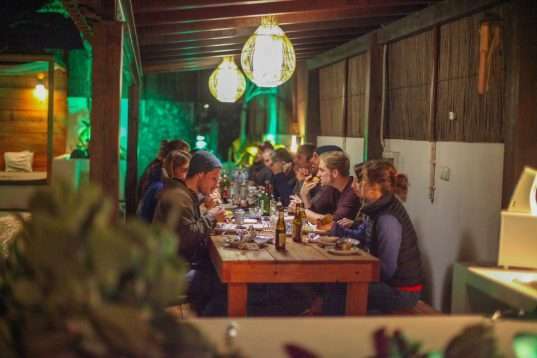 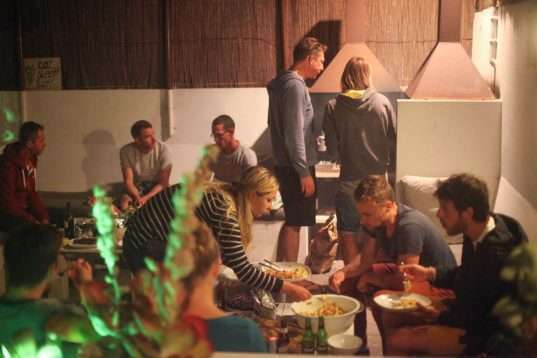 You can order lovely Canarian or international style food to enjoy in our camp garden, cook yourself a meal at one of our 2 kitchens or go out and enjoy the local nightlife! 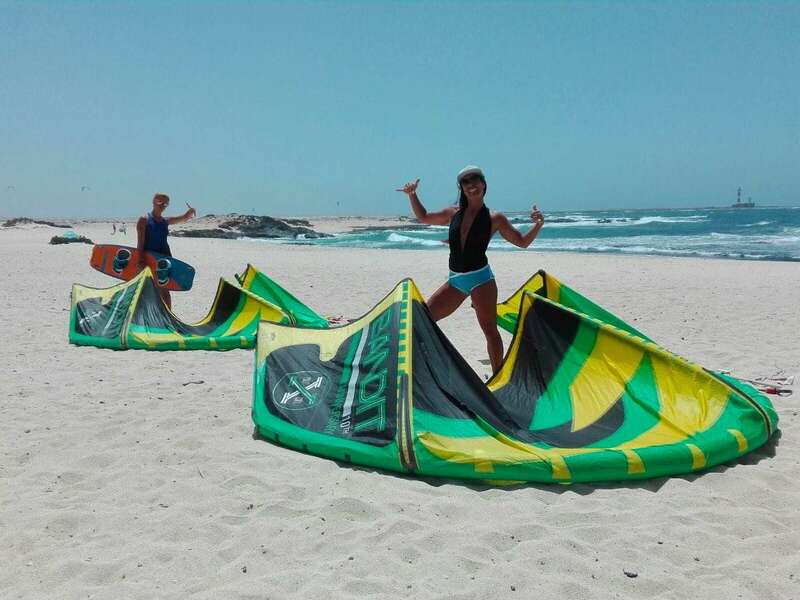 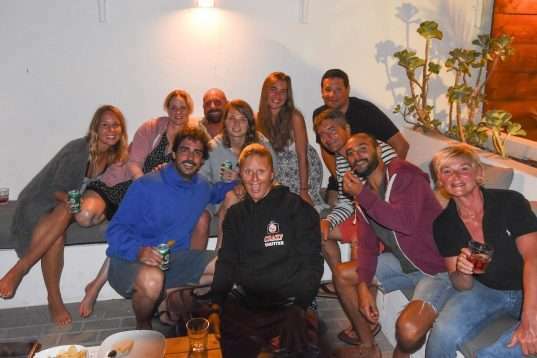 Our surf camp in Corralejo is the place where you’ll meet a lot of new people all with a passion for water sports. 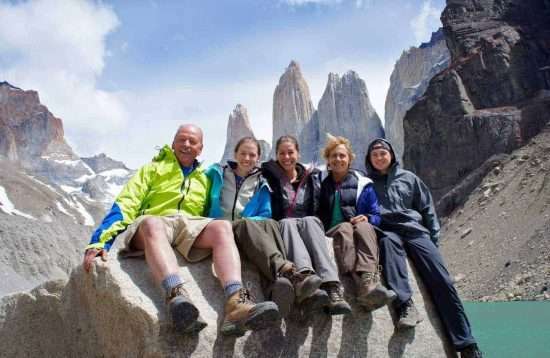 Our guests are from all over the world and of all ages. 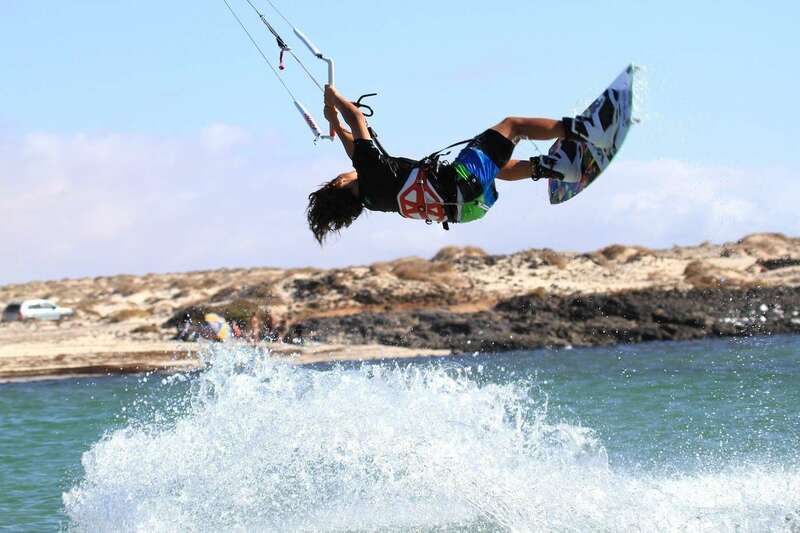 Our Camp has a modern zen style and has been designed specifically as a base for water sports. You can store your equipment, chill in one of our Bali beds, calmly read a book, and enjoy the nature around you, enjoy the natural life of Fuerteventura. 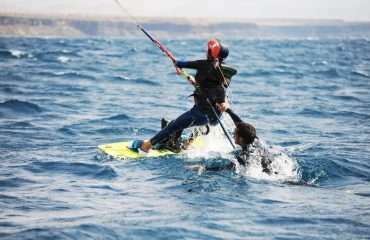 Yoga is a great way to increase your flexibility and fitness while doing water sports. 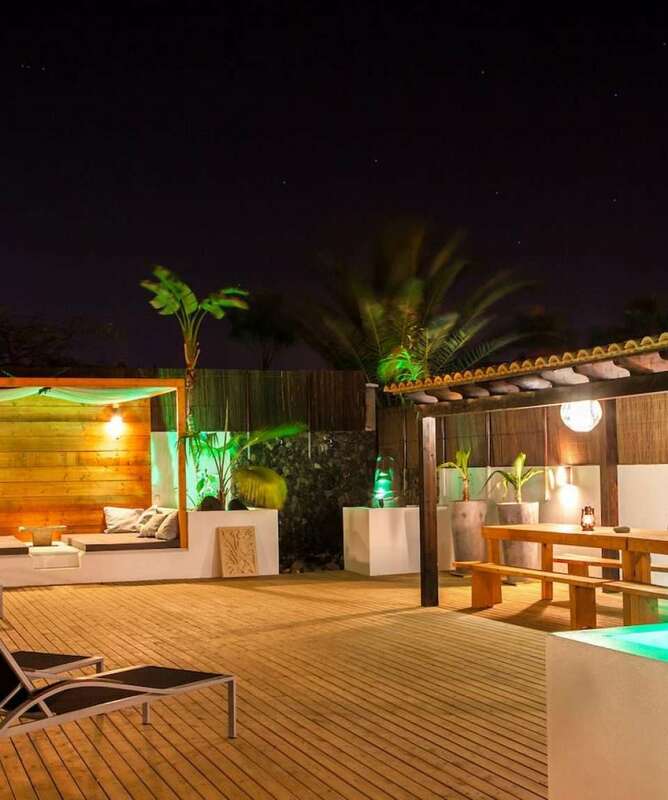 If you’d like to include yoga sessions during your stay, just let us know. 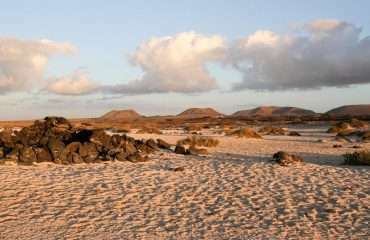 For a small additional cost, we can include 3 yoga sessions into your stay. 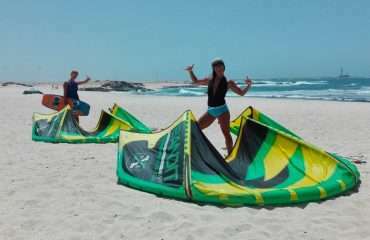 The lessons are tailored to your ability and you are never pushed into anything that you’re not ready or comfortable with. 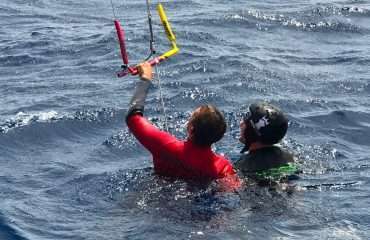 Of course, you should be able to swim and have average fitness. 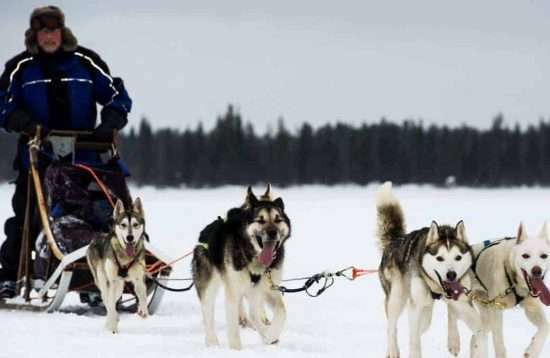 Basically, this is suitable for most people.